The Wensleydale Creamery is joining a major UK Trade and Investment (UKTI) Northern Powerhouse trade mission to the Gulfood and Halal World show in Dubai to increase its export business in key Middle East markets. The landmark event at the Dubai World Trade Centre will run from 19th – 25th February 2016 inclusive and is the world’s biggest annual food and hospitality show, attracting almost 5,000 exhibitors from more than 120 nations to the trading hub of the Middle East. 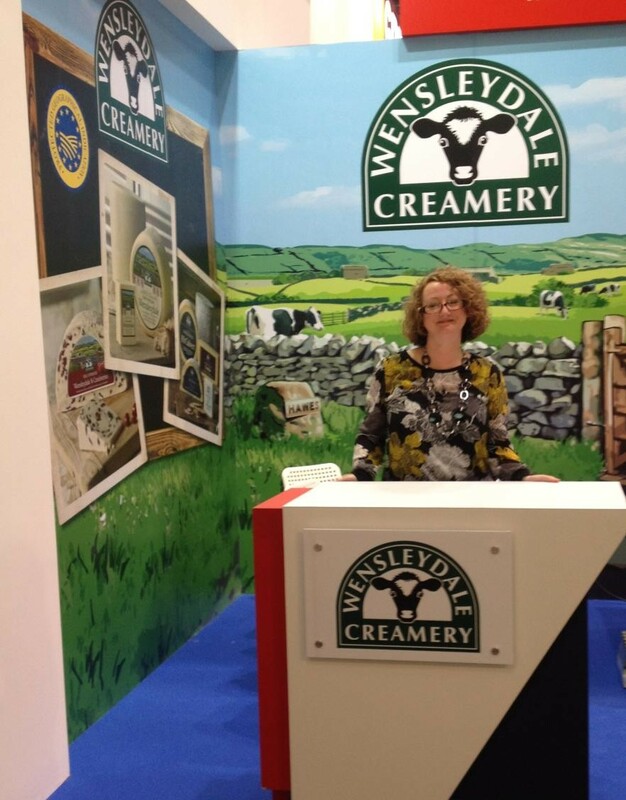 The Wensleydale Creamery, which also attended Gulfood in 2014 and 2015, achieves some 13 per cent of its sales overseas thanks to its award-winning cheeses being available in North America, continental Europe, China, Australia, Scandinavia, the Falkland Islands and Dubai itself. In the past year the business based at Hawes in the heart of the Yorkshire Dales has completed a major redevelopment of its premises, including the construction of a new creamery to enable it to increase productivity to meet rising demand for its products from customers abroad and in the United Kingdom. Part of this expansion strategy included the appointment of business and product development manager Phil Jones to support export manager Janette Scarth in an initiative to drive growth in new international markets and develop global partnerships. The firm has also recently created a new role for a dedicated export administrator to support the processing, packaging and shipping of export orders. This expansion programme follows Yorkshire Wensleydale cheese being awarded European protected food name status with Protected Geographical Indication (PGI) certification which ensures clear differentiation in the market from other Wensleydale cheese made elsewhere. A total of more than 30 businesses from Yorkshire and the Humber, the North West and the North East of England are joining the mission to represent the Northern Powerhouse, a region with a gross domestic product (GDP) of about £350bn and equivalent to the 21st largest economy in the world.